So yeah, I’ve been getting these out a little late recently, so for the past few days it’s been a little less Daily than usual… Anyway, today’s is an arrange from Valkyrie Profile, another one of the Viking games that I’ve started but haven’t quite beaten. Valkyrie Profile takes the premise that Rangarok is coming and the Valkyries have to be very busy these days to collect enough souls and train them for the final battle (why they decide to do this at the last minute is anyone’s guess…). The game doesn’t take place in medieval Scandinavia, but rather spills over into what looks like 16th Century England, complete with anime warriors and some trips to Japan. Still, that doesn’t keep it from having an interesting mix of Norse mythology. Anyway, the game is interrupted frequently by long story sequences where you get to hear the background of the guy whose soul you’re supposed to collect. The song that plays most commonly in these is “Behave Irrationally”, which fits with whatever brought this poor guy to his death. There’s an excellent arrange of this by Corran from VGMix 2.0 that’s worth a listen. The arrival of the Valkyrie is a mystical moment, one that requires tenderness and reflection as it is a crossing between two worlds and an evaluation of the soul. Corran uses echoing pounds from the drum, like rolling waves crashing against the shores of the other world. With brass and flutes, there is a sense here of human failings, of decisions made at the heat of emotion, the song a silent reflection and promise of redemption. The original used primarily a music-box of chimes and flutes. A wonderful expansion on another fine soundtrack by Motoi Sakuraba (Star Ocean). “Behave Irrationally” had some other interesting arranges. One of these is a Viking Metal piece by CHIPP Damage and Fray from OCR, “The Shining Blue Armor Descends“. While I usually don’t listen to death metal (I get nothing out of the growls), the song is presented here as an epic ballad that if not using poetry of the skalds, has a presentation of battle and glory that most Vikings would have been proud of. Another thing that springs to mind… If all the good warriors went to Valhallah, then why is there such a big problem about fighting the Ragnarok? Odin’s got the best players on his team. Maybe Loki gives everyone steroids in Hel to get them super-pissed off… Still, if you’ve got Beowulf, Toshiro Mifune, and Chuck Norris on your team, is there really any contest? 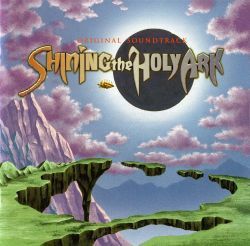 Shining the Holy Ark is another album I’ve had for awhile but never got around to listening to. The game, for Sega Saturn, is a turn-based tactical RPG. The hero, Arthur, must avenge his father’s death at the hands of a 1,000 year-old master of the Vandal clan. I was surprised to see it was composed by Motoi Sakuraba (Tales, Valkyrie Profile, Star Ocean). This piece is from the arranged soundtrack where Mr. Sakuraba played on the keyboard. The soundtrack isn’t one of his best, but it has a few interesting pieces, one of which is “Elegy of the Bewildered”, an 8:34 long piano piece. “Elegy of the Bewildered” is really so massive it’s hard to wrap around, but the track seems to be divided into five movements. The first is calm, almost pastoral that quickly transitions into an adventurous piece with an exciting range that lasts until the second movement (1:43) which is also calm. In the middle (4:03), there is a change to intense battle music (third movement), followed by a more dramatic segment at 5:12. The final begins at 6:15 for a triumphant finale. One notable thing is the section at 4:20 sounds a little bit like the boss battle theme from Chrono Trigger. 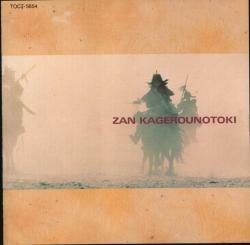 ZAN -Kagerou no Toki- (Age of Heat Haze, 1990) was posted recently on Slightly Dark. This is an early example of Motoi Sakuraba‘s work (more famous for Star Ocean and Valkyrie Profile), back when he was working for Wolf Team (they made a lot of games with great soundtracks in the early 90s). The game appears to be a tactical war game set in feudal Japan, and it’s got a few interesting songs on it. My favorites are the arrangements by Sargent Wolf Band, composed of Masaaki Uno, Motoi Sakuraba, and Yasunori Shiono, who later collaborated on Arcus II. I guess the name is slightly inspired by the Beatles, and come to think of it, Wagayo no Haru (“Spring of His Life”) has a bit of a Sergeant Pepper’s feel to it. The game’s ending theme, “Spring of His Life”, is my favorite track on the album. It has a pretty calm opening with a lazy piano and strings that feel like cherry blossoms falling in the breeze. However, the most memorable part of this track is the trumpet and guitar sequence added at 1:35. The soothing notes relieve the tension of work and battle as the triumphant warriors drift off into the sunset. There’s some nice percussion here as well with wonderful timing on the drums. The track has another calm break at 2:05-2:54 before returning to the rock section and ending with a nice guitar solo. I suppose that’s what you’d expect for the ending to a samurai western. I also kind of like “Ransen” (Melee) a bit, too. It’s a short battle theme that has a whining guitar that fits the chaos of battle and is oddly memorable. 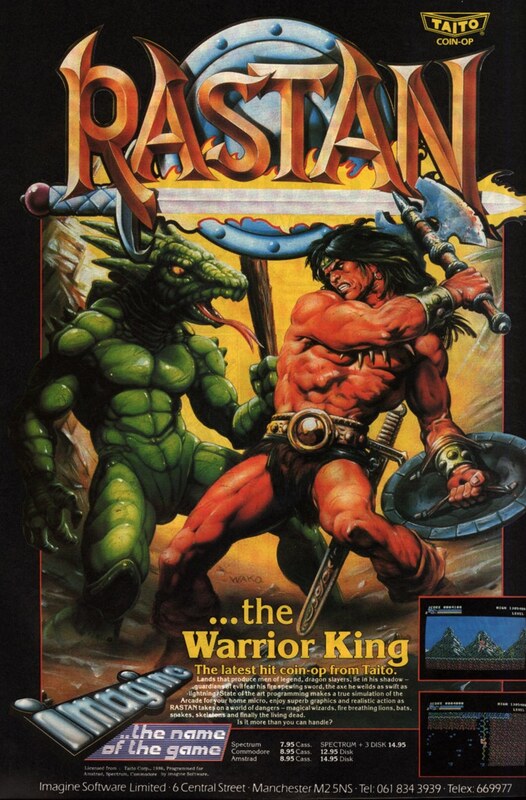 The rattling percussion and voice effects of warriors makes for a fun, unique tune. The original X68000 version of “Age of Heat Haze” also ends with sampled sounds of a horrific battle. I also like this album’s cover art. Though it isn’t exactly the ‘heat haze’ you see in the title screen to Sunset Riders, it does have horseback warriors emerging from a hot, dusty cloud. I wonder if this image is from the same source as the sampled battle sounds.